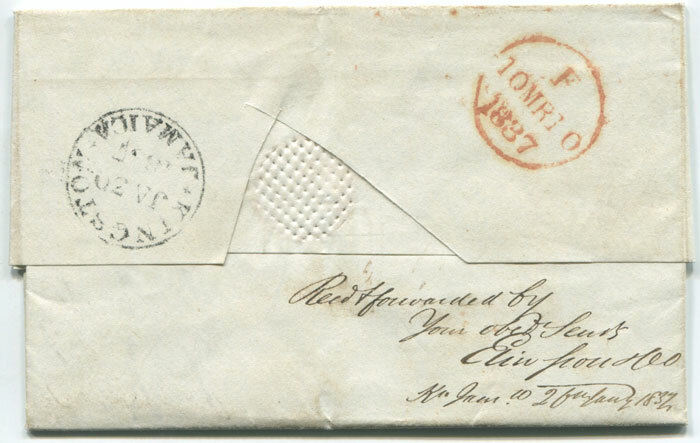 1823 (21 Jun) EL with good ST MARTIN DE RE 16' h/s. 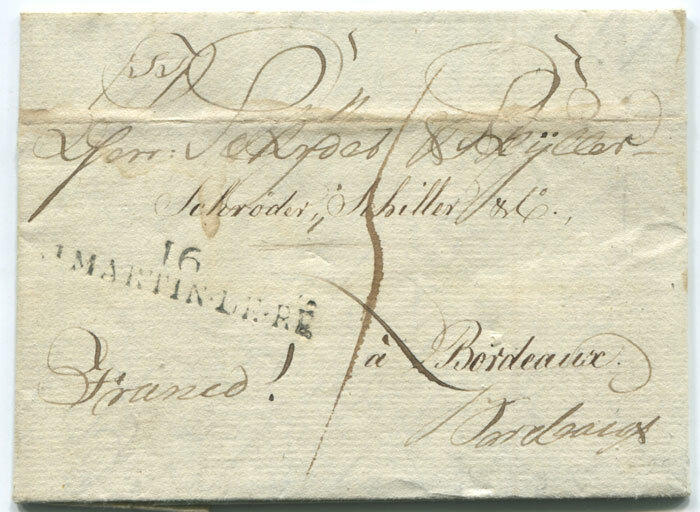 1827 (6 May) EL with good ST MARTIN DE RE 16' h/s. 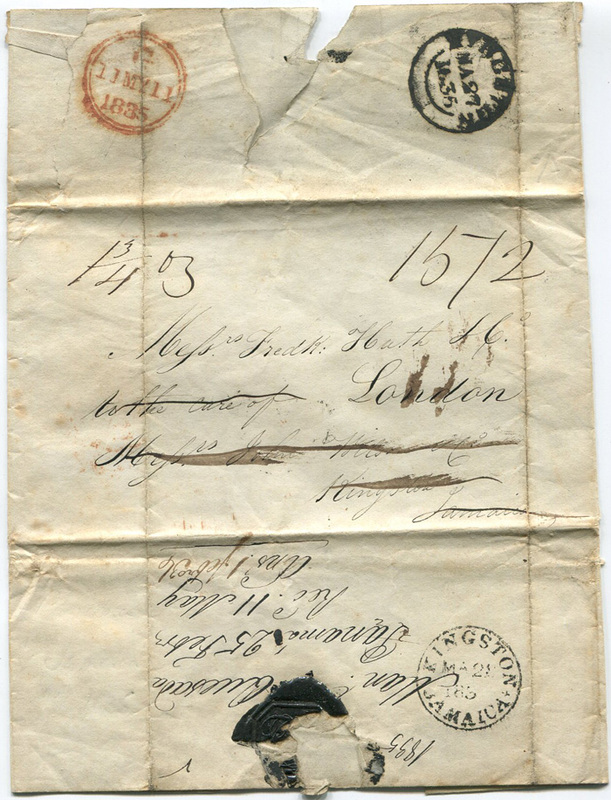 forwarded by John Wilson & Co Kingston. Endorsed 1¾oz and rated 15/2d. 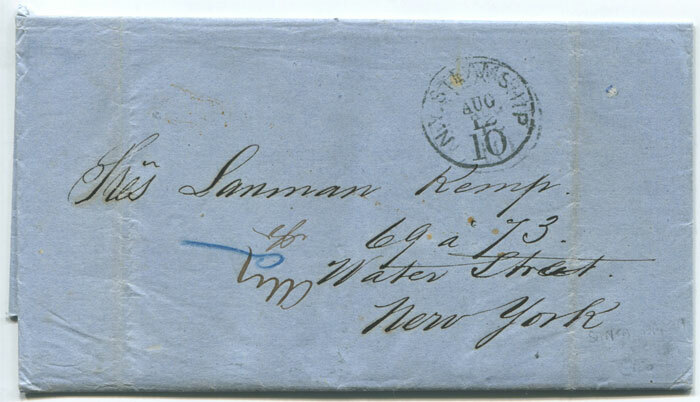 endorsed on reverse, 'Rec'd & forwarded by Your obed. Servts. 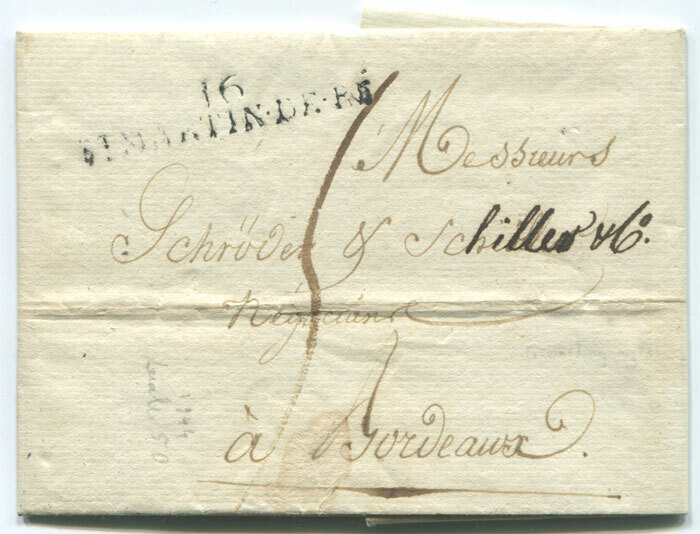 Elinsson & Co., Kin. Jam. 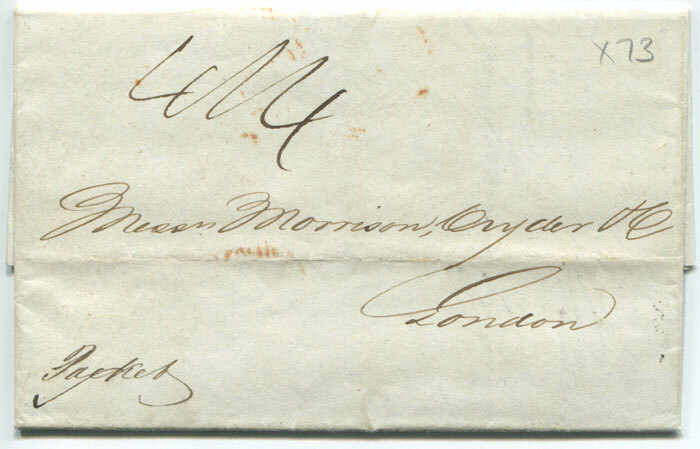 26th Jan 1837.' Rated 4/4d. Clean. with double oval 'LLOPART VILA. 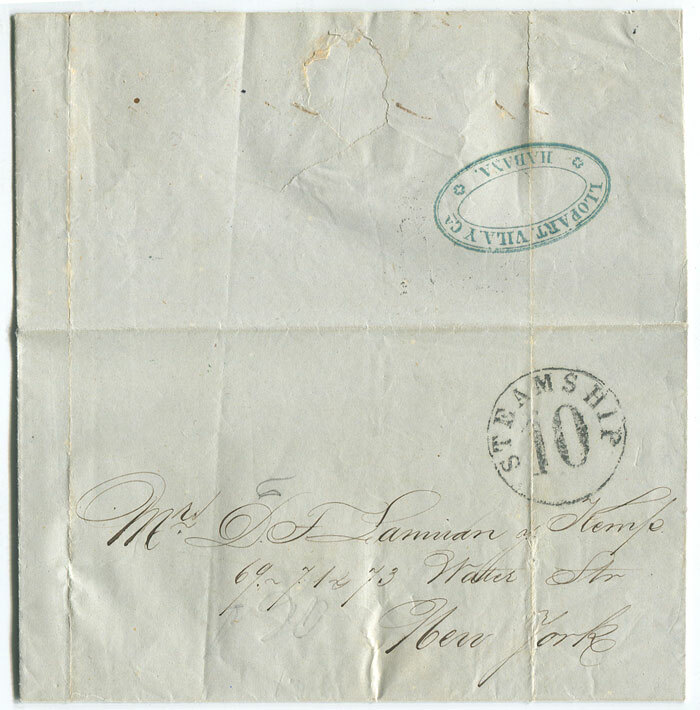 Y CA HAVANA' forwarding agent cachet and 'STEAMSHIP 10' h/s. 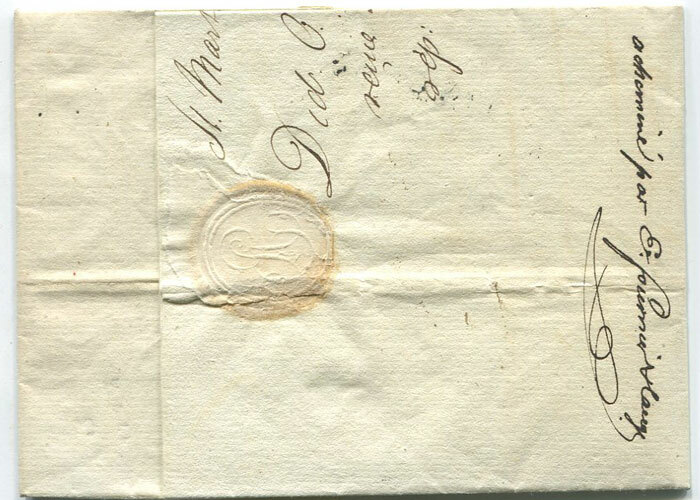 with circular 'STEAMSHIP 10' h/s and oval 'BROOKS DOUGLAS & CO HAVANA' forwarding agent h/s. Fine. with circular 'N.Y. 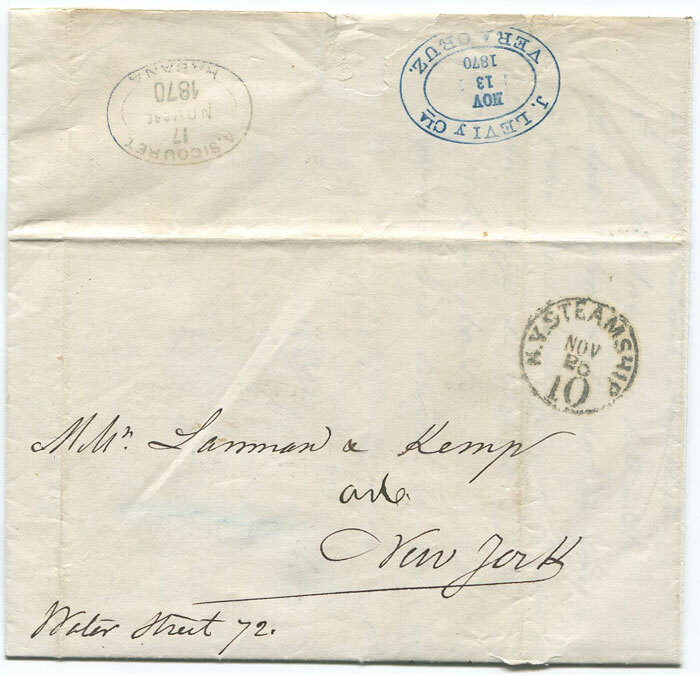 STEAMSHIP 10' h/s and oval 'A. SICOURET HAVANA' forwarding agent h/s. Fine. 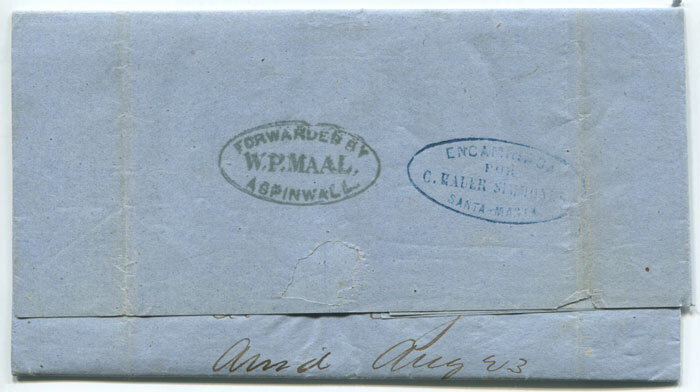 1875 mourning cover from England to San Fransisco, forwarded to Panama. GB 3d plate 16 tied by fine BATH duplex. San Francisco Paid All cds in red at left and Liverpool cds b/stamp. 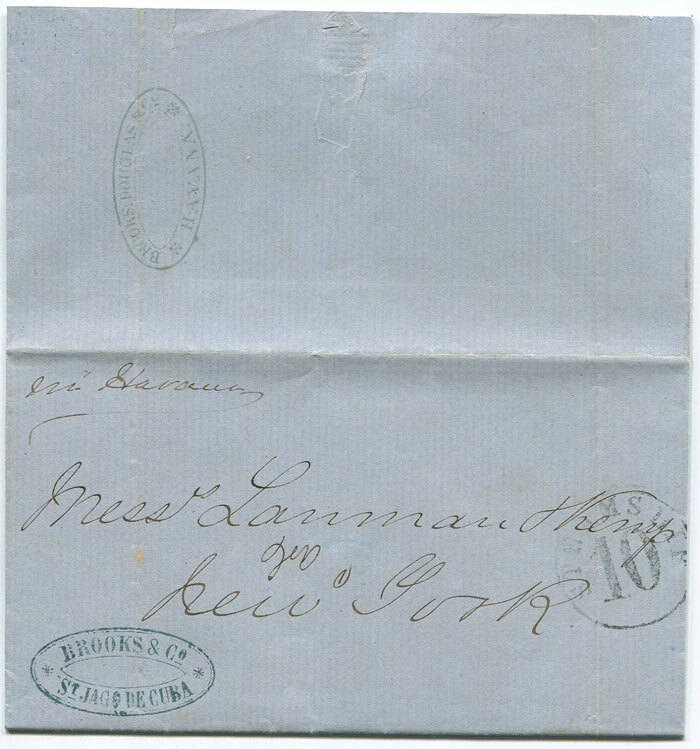 Addressed to Commander Cookson, H.M.S. 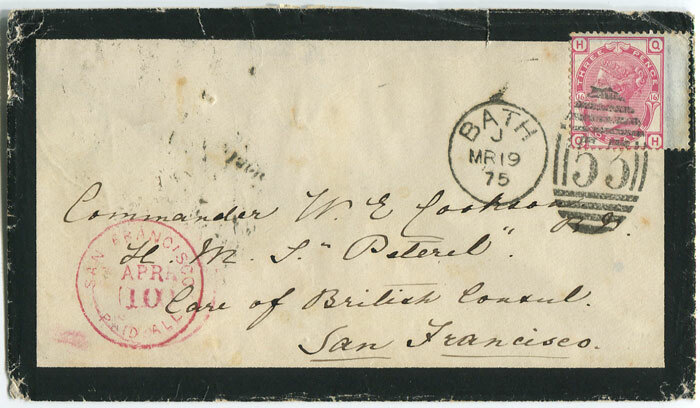 Peterel, care of British Consul, San Francisco. Fine. 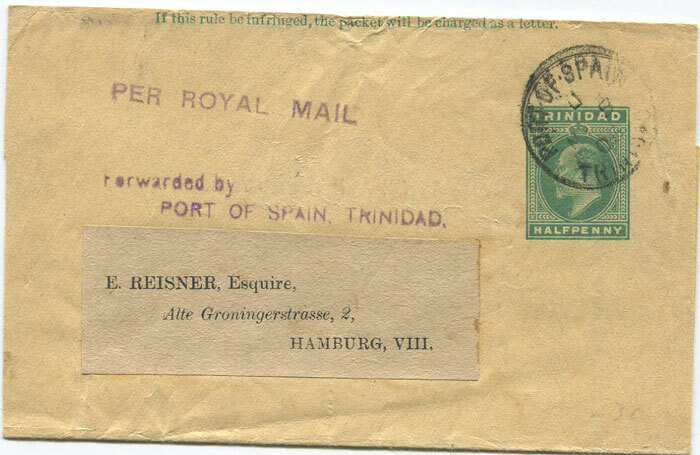 (H/G E4), used in 1905 to Germany with 'PER ROYAL MAIL' and 'FORWARDED BY PORT OF SPAIN TRINIDAD' h/s's, the latter with 'JULIAN H. ARCHER' removed. 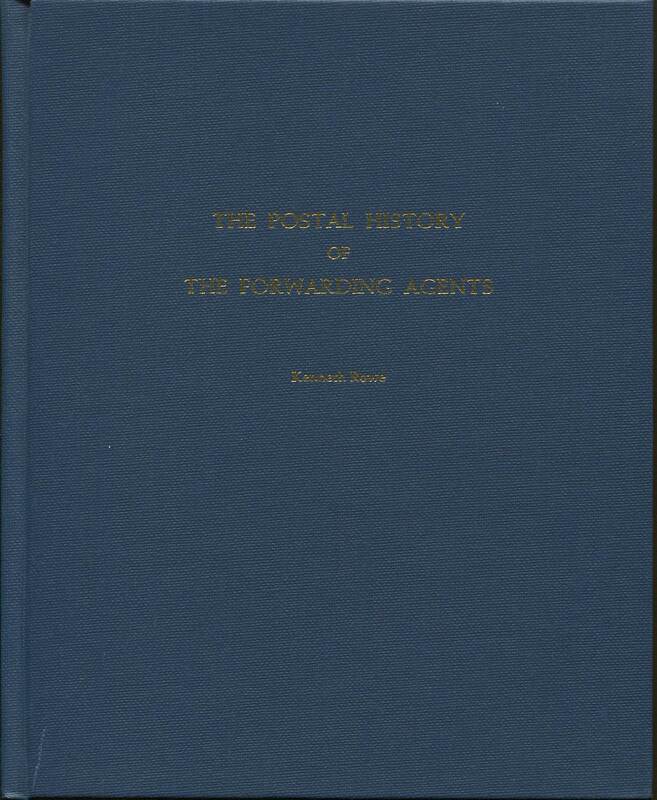 ROWE Kenneth The postal history of the forwarding agents. Leonard H. Hartman, Louisville 1984 280 large pp. Revised ed., clean in original blue cloth. Detailed listing of all known forwarding agents marks.